Creeping Marjoram (Origanum rotundifolium) is one of many oregano and marjoram varieties that do very well in our gardens. 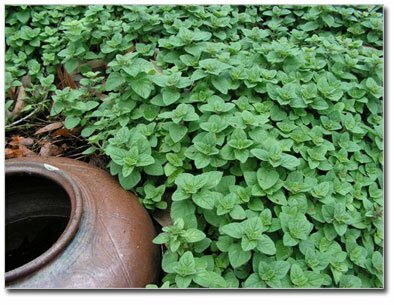 A spreading perennial and evergreen herb, it is especially suited as a groundcover with the added benefit of providing flavorful leaves. 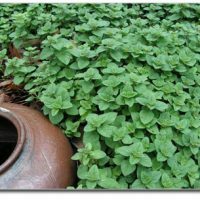 To use as a groundcover or edging plant, place Creeping Marjoram at about 6 to 8 inches apart in a sunny area. Keep the soil slightly moist around plants and try to cultivate often when young to prevent weed competition and aerate the soil. Add 1 inch of compost in a 12-inch circle around the plants occasionally, or fertilize with TOP at about three-month intervals.